Packing Cubes | Organising your suitcase when travelling. 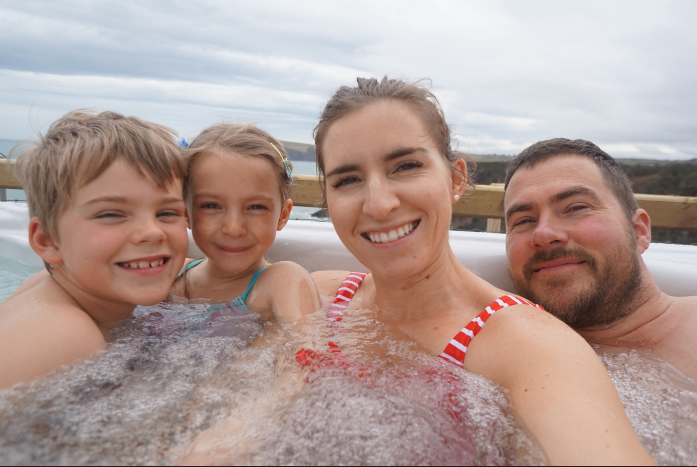 We headed to Bluestone Wales this week and i previously brought some 'packing cubes' since having a lot of recommendations from other mummies. I actually cheaply brought these Packing Cubes from China through Ebay since i don't travel that often and I wasn't sure they were 100% going to work for me. Although very cheap they definitely do the job! So why use packing cubes you ask.. what is the point?! Well if your someone like me who generally likes to be organised, with packing outfits for the family, and generally have a few different bags for things like toiletries or shoes than these are great! They come in a few different sizes and some have double compartments. I used the pink ones for Violets clothing, i pieced together outfits including underwear and placed them all in one packing cube, it keeps the neatly arrange without being thrown around the suitcase. As you can see not only does it keep the together and tidy the bags are so thin they hardly take up much room compared to layering items up in a general suitcase. I used one of the smaller cubes for PJ's, extra underwear, swimsuit and a spare outfit. So here are the cubes all in the suitcase, mine are the grey cubes, once placed correctly in the suitcase, i moved them each around a bit to see which cube fits best, i could also add a few extra items in the sides. I just love how neat and tidy it looks. I also found it really simple knowing where everything was to and not having to rummage around in a pile of clothes looking for one item!